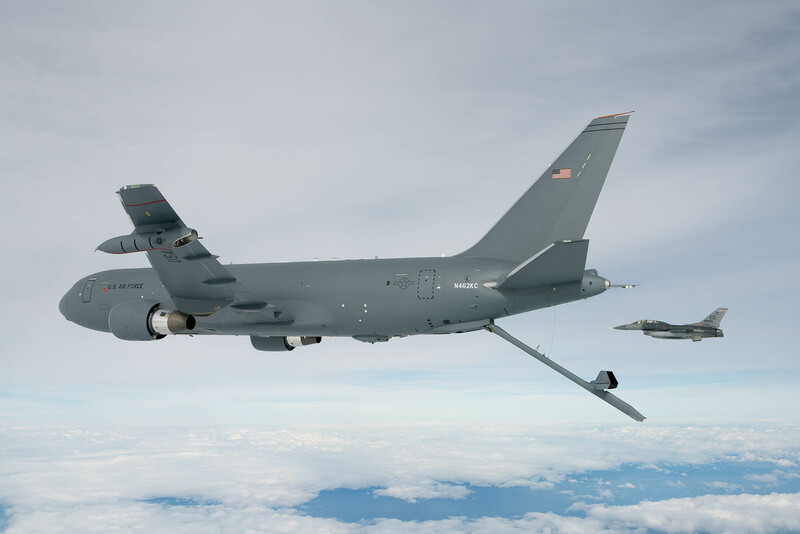 The Air Force is working with the Pentagon’s operational test and evaluation office to reconcile concerns raised in a January report about the KC-46 Pegasus, but the service isn’t planning to change the tanker program or test timelines. 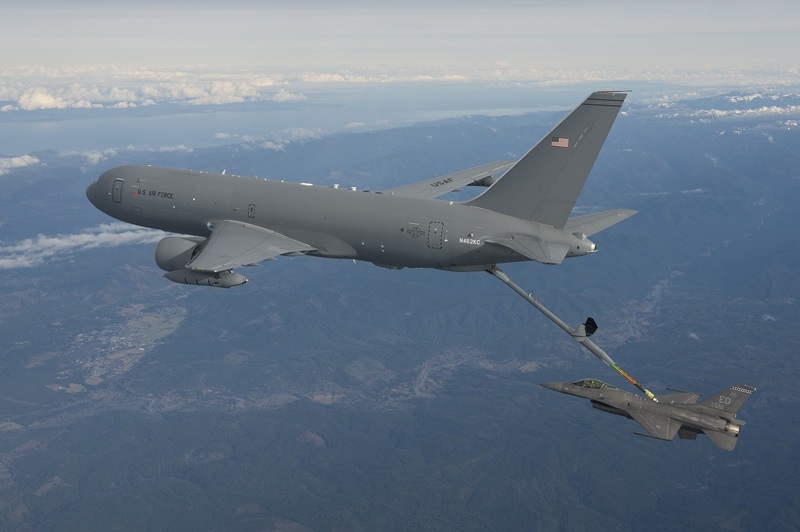 The Director of Operational Test and Evaluation said the KC-46 refueling tanker may not have met the office’s standards for electromagnetic pulse testing because not all of the systems were online during the tests. The goal was to assess whether the aircraft could safely operate when confronted by electromagnetic fields generated by equipment like radar. The test showed that the tanker’s flight-critical and boom-refueling systems could withstand a 6-decibel electromagnetic pulse, but certain systems were uninstalled or deactivated before testing, according to the report. The refueling tanker is about 94 percent complete with its testing for its military-specific certification. “The configuration of the KC-46A used for EMP testing was intended to test the mission-critical functions of the aircraft to ensure it can continue to operate in an EMP environment,” Air Force Materiel Command officials told Air Force Times. The mission-critical functions include safe taxi, takeoff, flight, landing, control of the aircraft, life support, refueling operations (using the boom and centerline drogue system only), and voice communications. “The systems that were uninstalled or deactivated were not flight critical or required for aerial refueling operations,” the command said. After the KC-46 was exposed to electromagnetic pulses, the results showed that these critical systems retained their functionality, according to AFMC. The electromagnetic testing took place in July at Naval Air Station Patuxent River, Maryland, and Edwards Air Force Base, California. The U.S. Air Force’s newest tanker, the KC-46A, recently wrapped up electromagnetic testing, putting Boeing one step closer to delivering the first aircraft, the company said Thursday. AFMC said that as of now, there are no additional EMP tests scheduled for the KC-46. One of the next steps is to assess how the tanker performs during nuclear threat-related tests. This includes an inherent hardness assessment and base escape study. The inherent hardness assessment considers the KC-46’s inherent hardness to nuclear weapon effects, AFMC said. A test of the aircraft’s thermal curtains, which protect aircrew from some of these effects, will be assessed. The base escape study is an analysis of the time required for a KC-46 to launch and fly a safe distance from a simulated nuclear attack. The IHA and BES tests are scheduled for the second half of fiscal 2018. Gen. Carlton Everhart, head of Air Mobility Command, told Air Force Times in January that the KC-46 is almost done with tests needed for the tanker’s second — and final — Federal Aviation Administration certification.